We’ve gathered the top 45 ecommerce statistics that you need to know. Consider Amazon Prime. 95 million people is almost a third of the US population. And now they are used to free two-day shipping. Do you think they will be understanding if you send them a shipping bill and inform them that it will take a standard seven to 10 days for their order to arrive? Probably not. This means that you also need to figure out how to offer free two-day shipping, without destroying your margins. Keeping up with Amazon is not an easy task, but you have to do your best. Otherwise, you will struggle to stay afloat, much less grow. Amazon might be dominating the ecommerce industry, but it’s far from the only place potential consumers are searching for products and making purchases. In fact, Google Shopping might even be a better bet. 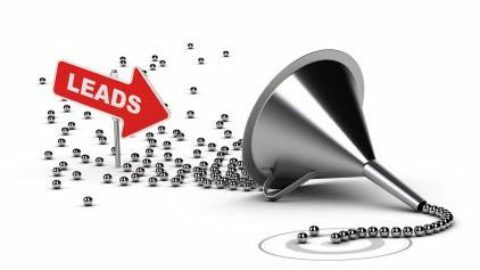 The platform has a quicker transaction turn-around, and a higher-rate of searches converting a few days later. 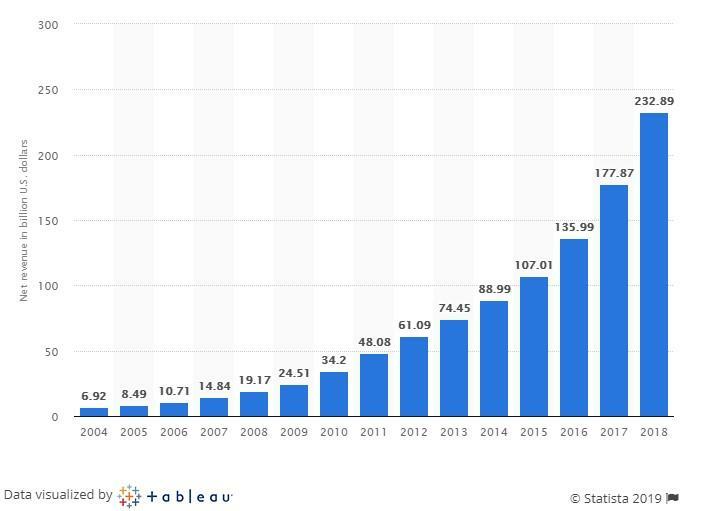 What does this mean for ecommerce advertisers? Simple: Make sure you’re using Google Shopping to promote your products. We have already discussed how Amazon has set the standard for shipping cost and speed. Offering free shipping above a certain threshold (e.g., $50 or $100—whatever makes the math work out in your favor) and promote this perk. Partnering with a third-party logistics (3PL) company that can store your inventory and fulfill the orders. For example, iloveplum increased their average order value by 97% by partnering with a 3PL company ShipBob, which allowed them to offer free two-day shipping within the US for orders above $40. In short, when it comes to free and fast shipping, you have to make an effort to meet the expectations of your customers. Returns are part and parcel of ecommerce. There’s no way to avoid them. After all, people can’t see, touch, or try the products before they buy them—they’re basing their decision on your product photography. It’s inevitable that sometimes the product won’t work out as expected, and there is always the possibility of a manufacturing defect or damage during the delivery process. Package your products well to protect them from damage. Display accurate information about your products on the product pages. Help the customers figure out whether a product will be a good fit for them by providing additional information on the product page (for example, size charts for clothes). You should make it as easy as possible for the customer to return or exchange an item they are not happy with. This includes making your return policy easy to understand and to locate. Your customers shouldn’t have to scour your entire website in order to find it. Display it prominently to reassure your customers that if something goes wrong, you’ve got their back. Cart abandonment is another inevitable part of ecommerce. However, that doesn’t mean you should just accept your current cart abandonment rate, because chances are you could significantly reduce it. 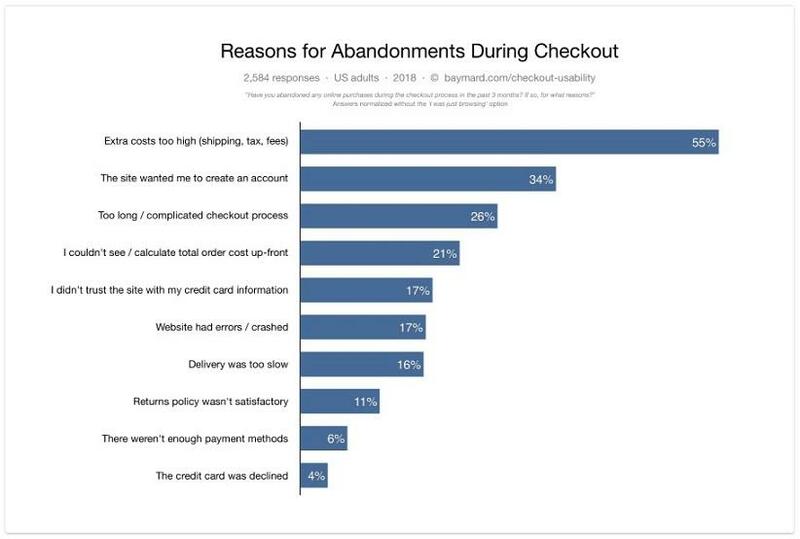 As you can see, you could fix the top three issues by offering free shipping, allowing customers to check out as guests, and streamlining your checkout flow. Moreover, if a customer abandons their cart, you don’t have to just leave it at that; you can send them an email to remind them of the products they were interested in buying. “In terms of average revenue per email, abandoned cart emails are a clear outlier. This is because they are only sent to people who are highly likely to convert seeing as they have already made it all the way to the checkout,” explains Aaron Wiseman from SmartrMail. So don’t hesitate to reach out to customers who have abandoned their carts. Contacting a business via Whatsapp, Facebook Messenger, or any other messaging app was a novel idea not that long ago. However, as these apps keep growing in popularity, more and more online retailers are offering their customers this option. And customers seem to appreciate it. After all, sending a message is quick and easy, and it feels more casual than an email or a phone call. Moreover, people are becoming more open to chatbots. Chatbots are a great way to scale customer service. Using them allows you to respond to simple inquiries immediately, at any time of the day, seven days a week. Meanwhile, your customer service representatives are free to focus on solving more complicated issues. 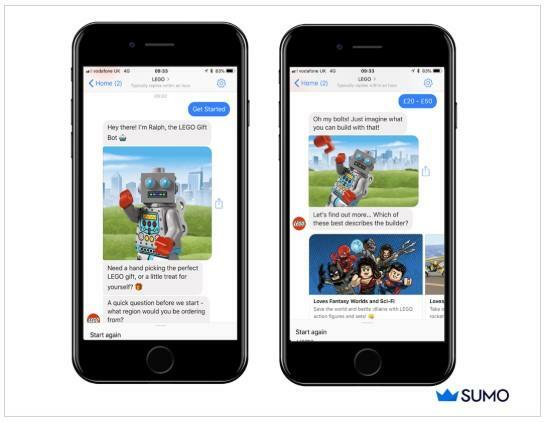 For example, Lego has a chatbot named Ralph that provides the customers with personalized gift recommendations, which would not be sustainable if customer support representatives did it instead. Providing your customers with the option to contact you via messaging apps can help you get an edge over your competitors by taking your customer service to the next level. The conventional wisdom is that search marketing is for capturing commercial intent and driving site traffic and that social marketing is for targeting audiences and building brand awareness. That’s all well and good. But don’t get it twisted: You can sell on social. Do people use Instagram to keep up with friends and family and—for some reason—to flex on distant acquaintances? Of course they do. But people also use Instagram to discover new brands and find inspiration for future purchases. So, not only does your ecommerce business need to start posting on Instagram—your ecommerce business also needs to start selling on Instagram. Otherwise, you’re missing tons of opportunities to turn users’ commercial mindsets into revenue. Whether it’s tagging the products in your News Feed and Story posts with names and prices or partnering with influencers to get your catalog in front of hyper-engaged audiences, there are proven ways to make your Instagram presence shoppable. Don’t procrastinate. You’ll often hear digital marketers talk about user experience, which is typically abbreviated as UX. It’s sort of a catch-all term that refers to how well your website is built—and, in turn, how easily people can navigate it to accomplish whatever it is they need to accomplish. In the case of your ecommerce website, a good UX enables your site visitors to quickly find the product information they need and to make purchases when they’re ready. If you bury key product details in the darkest corners of your site and make prospects jump through a series of hoops to make purchases, you’re not offering a good UX. Make it easy for users to get where they need to go. The stats you see above make it plain. 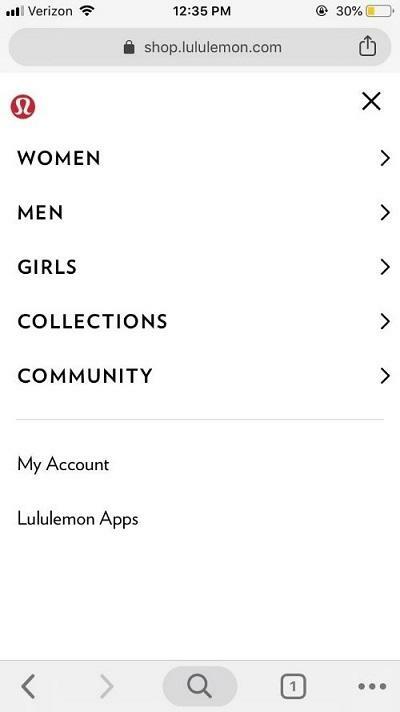 If you give online shoppers a good mobile UX, they’ll reward you by making purchases. And if you give them a bad mobile UX, they’ll punish you by giving their money to your competitors. You can learn more about building a good mobile website here. The stats for this final section come from our brand new Shopping Benchmarks report—a deep dive into how ecommerce businesses from 16 different verticals are performing on Google Shopping and Bing Shopping. Across all verticals, the average Google Shopping conversion rate is 1.91% and the average Bing Shopping conversion rate is 1.74%. Although you can expect to convert Google shoppers at a higher rate, you’ll have to pay a premium for it. 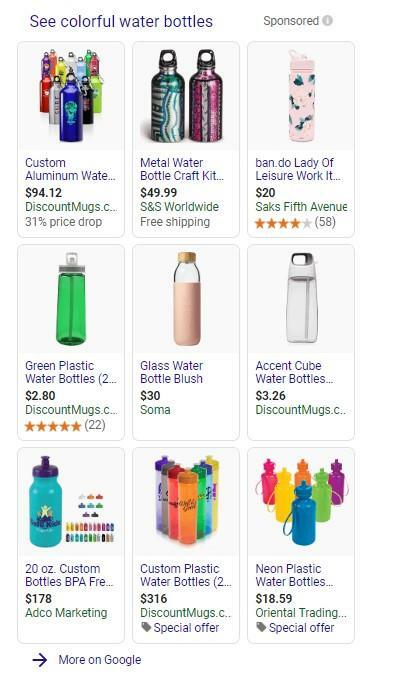 Whereas the average Google Shopping CPA is $38.87, the average Bing Shopping CPA is only $23.05. Ecommerce businesses in the Office & Business Needs vertical are killing it on Bing Shopping: they convert clicks into actions at an average rate of 15.19%. Turning to Google Shopping, HVAC businesses are killing it, too: They boast an average conversion rate of 3.30% and an average CPA of just $7.28. 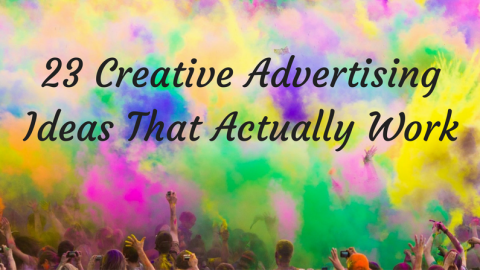 Advertisers in the Chemical & Industrial sector have one of the toughest jobs out there: less than 1% of their Google Shopping clicks convert into actions, and each conversion they do get costs $91.21 on average. Often, marketers take one look at Bing’s share of the search engine market—anywhere between 3% and 5%, depending on where you look—and write if off completely. Although every business has unique goals and limitations, we generally recommend giving Bing Ads a shot. Why? Because 4% of search engine users is millions of people. Millions of people—some of whom, we’re willing to bet, being qualified to be your customers—use Bing every single day to find the solutions to their problems. If you have the bandwidth to run a couple Bing Shopping campaigns and get your catalog in front of those people, why wouldn’t you? We’re big fans of Bing Ads’ device targeting functionalities. We’ve already show that conversions cost way less on Bing Shopping. And try this one on for size: Whereas the average Google Shopping advertiser spends $770 per month, the average Bing Shopping advertiser spends half that much. 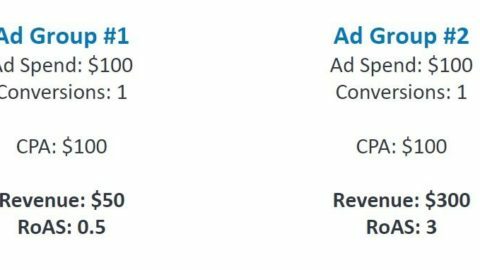 Not only can you expect to drive conversions at a low cost—you can expect to face less competition for the top sponsored spots, too. And by the way: Bing users tend to be middle-aged an affluent. If that sounds like your buyer persona, Bing Shopping is a no-brainer. It’s true that it’s not possible to know what lies ahead. Ecommerce sales will keep rising; brick-and-mortar retail sales will keep declining. An important factor to consider here is the generational shift. As the “digital native” Generation Z enters the workforce, their spending power will increase, and it’s safe to assume that they will be more inclined to buy online than the previous generations. Meanwhile, millennials will continue climbing the career ladder, which will result in more disposable income. This will also have a positive impact on ecommerce sales. Online shopping will get more popular in emerging markets in Africa, Asia, Middle East, and Latin America as these regions become more developed and the spending power of the average person increases. Amazon will remain dominant. Other major retailers, such as Walmart, are working hard to establish themselves online. However, when it comes to dethroning Amazon, there’s still no serious contender in sight. Conversational commerce will be an essential part of selling online. At the moment, customers are still getting used to being able to contact businesses via messaging apps, but soon they will expect it. And who can blame them? It’s a convenient way to get answers to their questions. Chatbots might become the only way to meet people’s expectations when it comes to customer service, since the more businesses adopt them, the more pressure there is on their competitors to do the same. 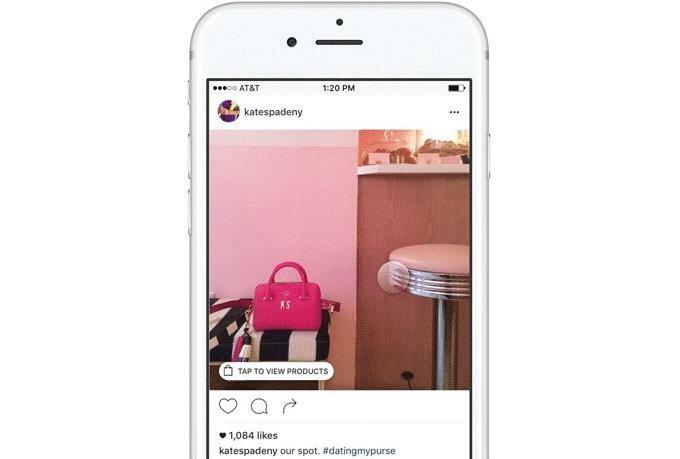 Shoppable social media will only become more prevalent. As evidenced by the rollout of shopping for Instagram Stories in the fall of 2018 and the anticipation of the same within Facebook Stories, the days of “link in bio” are very much numbered. Give your followers the chance to act on the inspiration your visual creative instills in them. In short, ecommerce isn’t going anywhere, but it will continue to evolve, and you will need to adapt to those changes. In order to do so, you’ll need to keep an eye on the latest ecommerce statistics to stay up-to-date with industry standards. Sure, you can never be certain, but understanding the current trends will help you better prepare for the future.